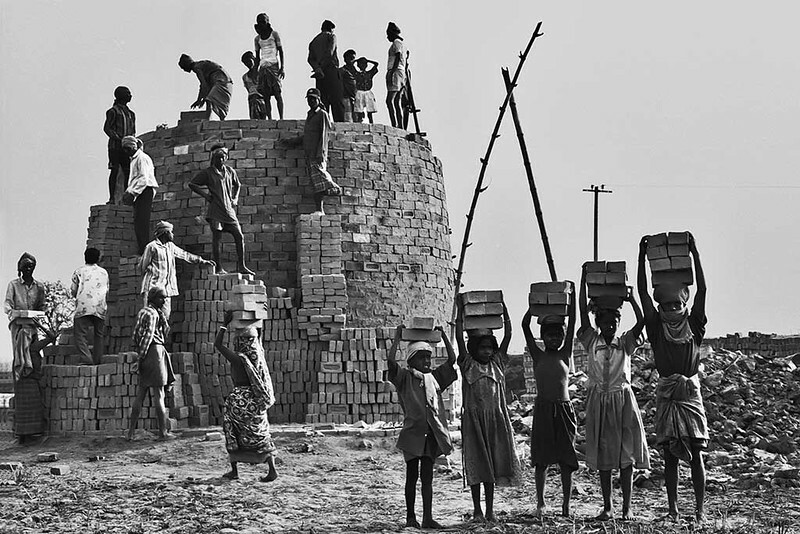 We often see brick kilns in developing nations like India and Bangladesh. However there is a certain amount of rareness that our eyes fail to see behind these freshly baked bricks. Amongst the shuffle of silence and noise in these massive brick kilns, it is the silence of these people working here, which needs to be heard. Buried in these mounds of bricks are life’s longings as there never seem to exist any labor laws. Exploitation of these migrant laborers who travel from all around the country just to earn a living, which is often so meager that they fail to manage even the basic necessities . They are so poor that they choose to accept this as a part of their life and don’t expect more. Conditions in these countries are such that the task of warding off this evil is almost impossible. The migrating workers are mostly landless farmers who travel with their families engaging in such seasonal nature of jobs. Situations are such that they are forced to make their children work in such unhygienic and sometimes inhuman conditions. For such families these brick kilns become their world - a world of burden, sweat, pain, and trying to walk the rocky roads of survival in a situation ruled ruthlessly by money and power. Yet some manage to keep a smile in this world covered with dirt, dust and grime because in their eyes there is a ray of hope for a better tomorrow, and they continue building their castle in dreams without bricks.